Honestly, are you fond of dramatically stomping your foot on the kitchen floor saying, “This is the last time! This is the last summer I’m going to be fat. I will lose the weight! I’m going to empty the refrigerator, clean out my cupboards and never, ever eat junk food again”? The truth is that, more often than not, this approach is both severely unpleasant and a big waste of energy. Do you really believe that all you need is a good healthy dose of drawing a line in the sand to break the patterns you’ve been living by? 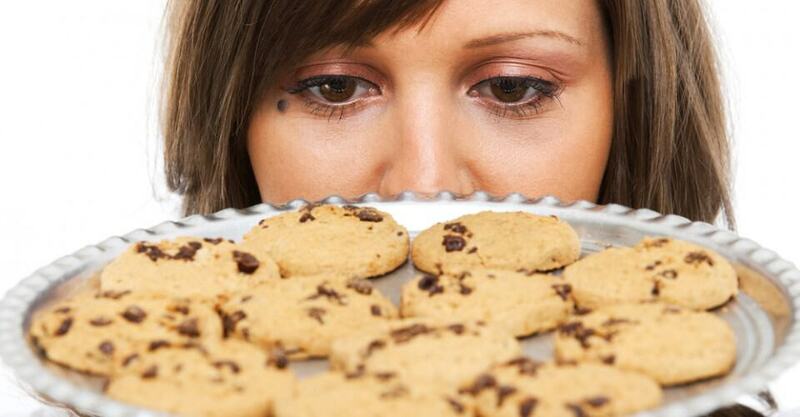 The fact is, research has shown that we have a limited amount of self-control or willpower. Mark Muraven and Roy F. Baumeister, reporting in the journal Psychological Bulletin, found “evidence that self-control may consume a limited resource. Exerting self-control may consume self-control strength, reducing the amount of strength available for subsequent self-control efforts.” Think of using willpower as working your muscles — meaning it can be exhausted and fail if used too much. There’s also been evidence to show that even watching others use willpower can exhaust your own willpower. Additionally, research at Florida State University found that acts of self-control deplete relatively large amounts of glucose. And self-control failures are more likely to occur when glucose is low or cannot be mobilized effectively to the brain. Willpower has been called a “glucose guzzler” — zapping you of much-needed energy. Look, I’m not going to sit here and tell you that there isn’t some self-control or willpower involved in weight control, but it’s significantly less than you think. Are You Really “Willing” It To Happen, or Is It All In Your Mind? Harvard researcher and scientist Daniel M. Wegner argues that conscious will means you’re in control and actually doing something to affect an outcome. In other words, you are causing the results by your actions. For instance, exercising more, resisting the cake and eating healthier foods result in your losing weight. According to Wegner’s writings in “Précis of the Illusion of Conscious Will,” the feeling that we are simply exerting willpower in order to do these things may not be a true reading of what is happening in our minds and bodies as our actions are produced. Is it really nothing more than your simply resisting temptation? Or is changing a behavior more about doing the prep work that sets you up to succeed? Think about a magician — when you see a magician performing his or her illusion, it’s seamless. You don’t “see” how the magic works — it just works. But the reality (just like losing and controlling you weight) is much more complicated. The magician did not just come on stage and perform the illusion. He or she worked hard, doing research, creating or buying proper equipment, developing a performance technique, and then practicing, evaluating and reformatting and practicing more. Losing and controlling weight appears to be just about willpower — willing something to take place — but really it’s about the preparation, the practice, the failure, planning, etc. Weight loss is more about power than willpower. You need to give yourself the power to lose weight. Last, but certainly not least, understanding the concept of creating automatic behaviors helps to create power. As I’ve said time and time again, it’s just too difficult to constantly think about dieting — it will not work. Successful maintainers have figured out ways to make their behaviors and choices second nature. Activities like setting your alarm clock at night, putting on your shoes before leaving the house and remembering how to drive to work do not require much thought. The idea is to apply the same principles to your diet. Arrange your personal environment so it maximizes your chances of losing weight, maintaining your loss and minimizes your chances of slipping up. Avoid cues that tempt you. If you drive by Dunkin’ Donuts on the way to work and can’t resist stopping for a box of doughnuts, change your route. Don’t leave foods in the house that are going to “set you off” — or at least put them out of reach. Make exercise something you have to do in order to complete another daily task (walking a child to school, biking to work, etc.). Again, my goal here is to give you a better understanding of why mere willpower, a resolve to eat healthy (not eat the “bad” stuff) and/or to exercise more, will probably not cut it for weight control. Instead, direct that “willpower” energy into something that will make a difference: planning, practice, education, etc. It will be worth it.